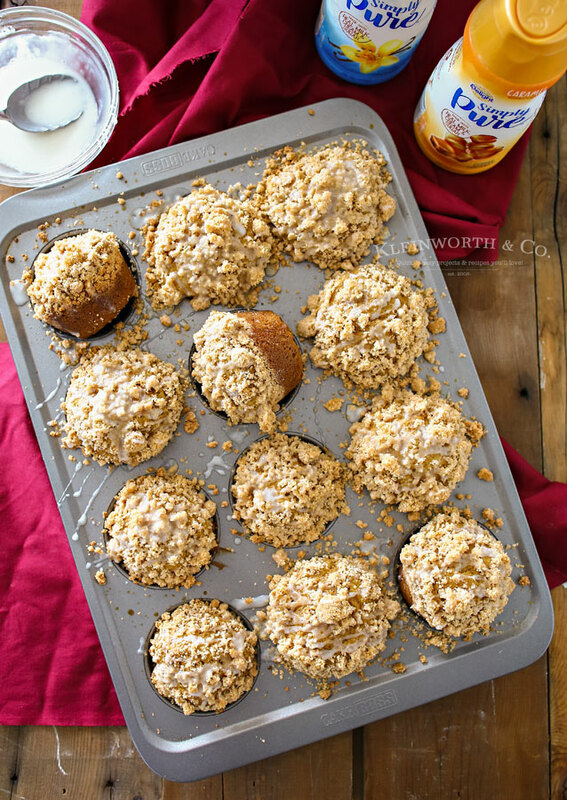 Simply the Best Pumpkin Streusel Muffins topped with salted caramel glaze really is the perfect fall breakfast treat or snack. 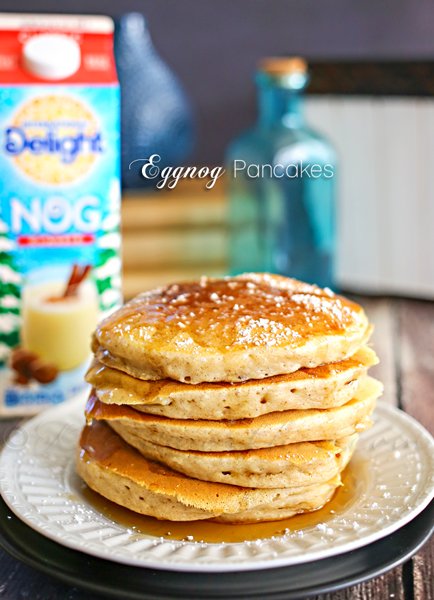 Easy to make & delicious too! I absolutely love fall. It’s something I look forward to it all year. I think it’s because I grew up in So Cal, which means I didn’t really have seasons like I do now. Being here in North Idaho we truly get seasons & it’s absolutely glorious here during fall. Well, honestly, it’s gorgeous here all the time, but I just swoon over the colors during fall. Now that it’s chilly & the leaves are changing, I’m definitely drinking, even more, coffee than usual to stay warm & always looking for fall flavor pairings to have along with it. 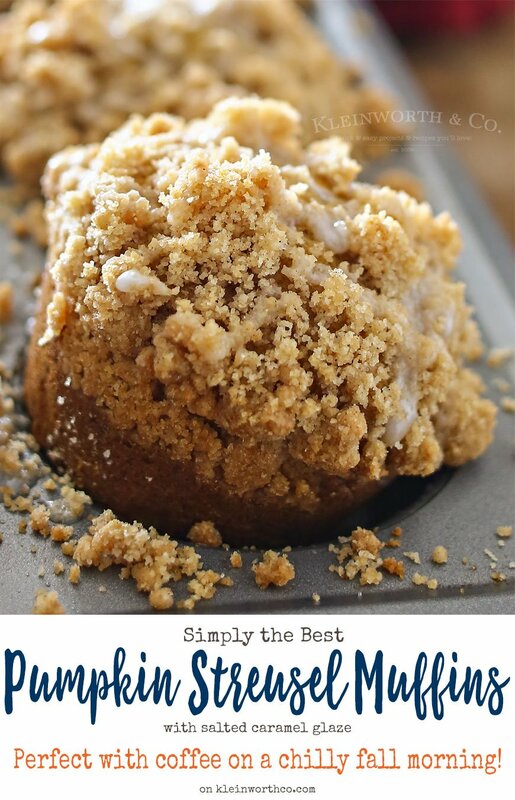 So, of course, I baked up these pumpkin streusel muffins that are simply the best you will ever eat. 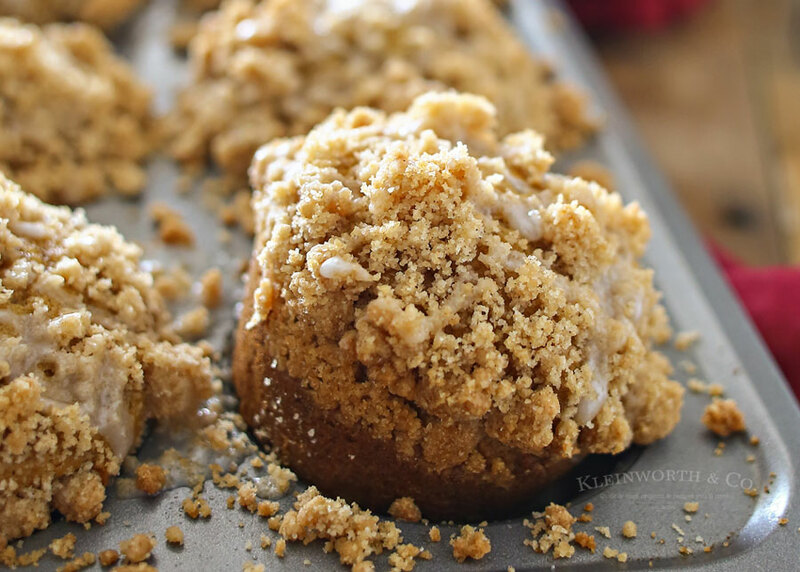 Don’t you just love the spices of fall, pumpkin & of course cinnamon are just so heavenly when paired together. I like to add a secret ingredient you don’t typically see in a pumpkin muffin- coffee grounds. It adds a richer flavor than you would typically get in a seasonal muffin like this. Then I made caramel flavored glaze which was the perfect complement to these. 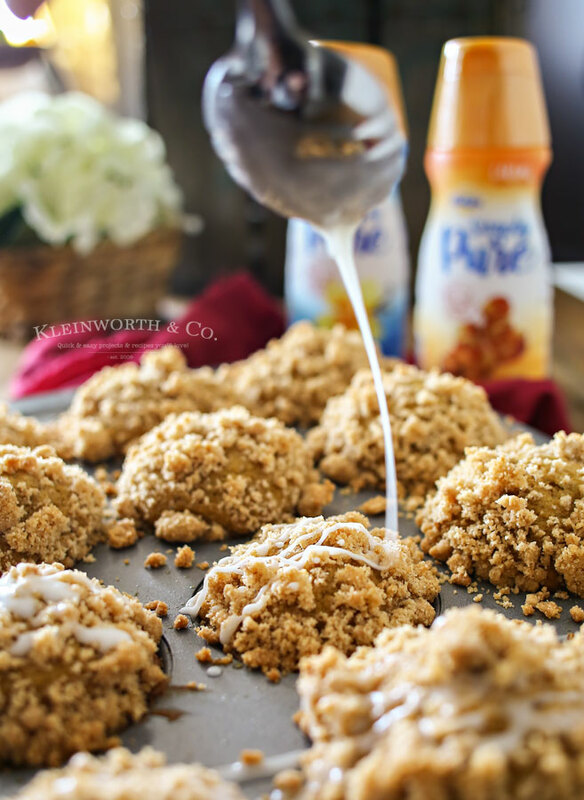 I used Simply Pure Caramel creamer from International Delight to make the glaze. 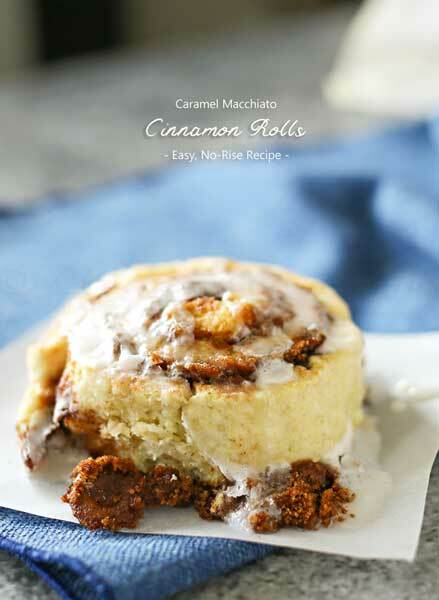 It allows me to enjoy my morning coffee with a different option & works great in recipes like this too. 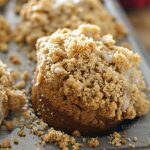 The Best Pumpkin Streusel Muffins topped with salted caramel glaze really is the perfect fall breakfast treat or snack. Easy to make & delicious too! 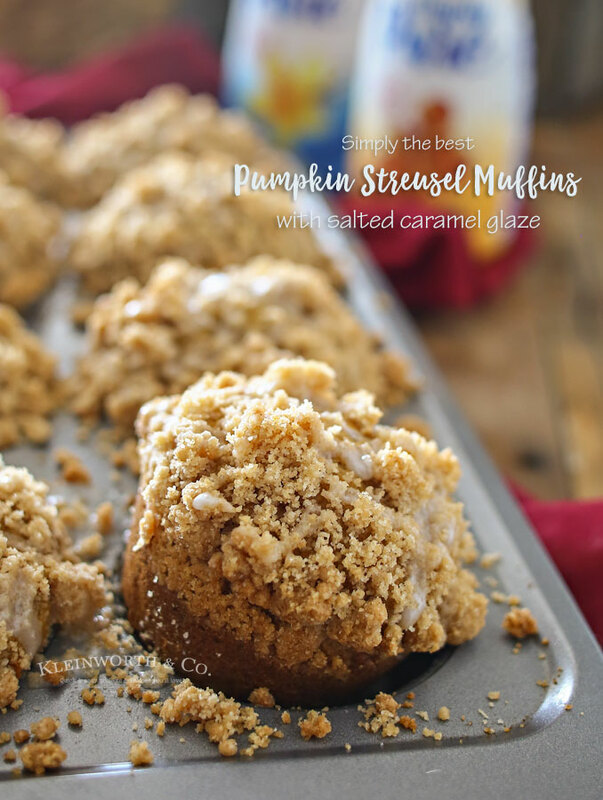 Just look at that streusel- it’s so AMAZING! 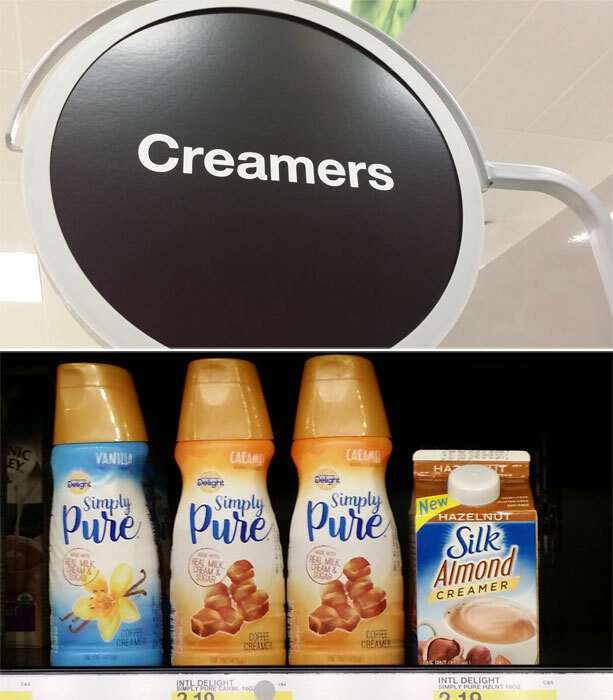 You can find Simply Pure Creamers at Target in the creamer aisle. 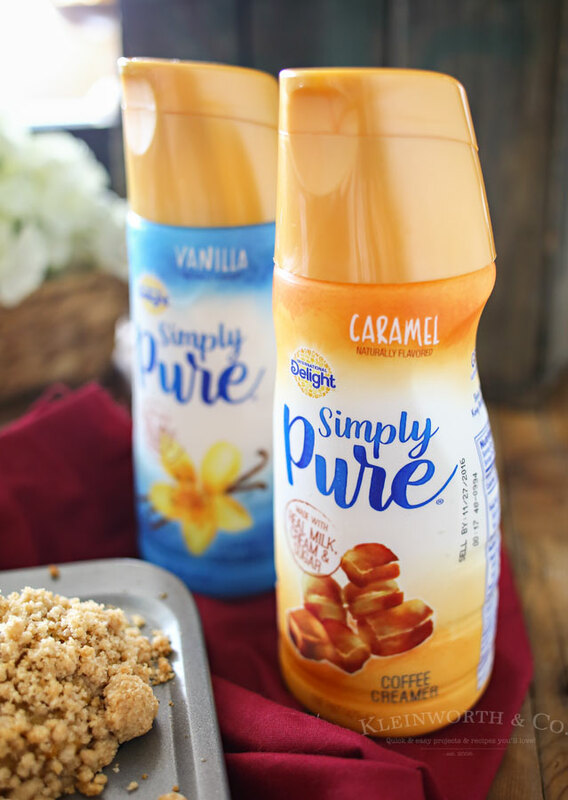 Be sure to download & use Cartwheel & the 20% off Cartwheel offer on International Delight Simply Pure, Horizon, Silk and So Delicious creamers from 9/25/2016 – 10/22/2016. Looking for more of our favorite breakfast recipes? This is a sponsored conversation written by me on behalf of WhiteWave Foodst. The opinions and text are all mine. Those muffins are screaming at me! Looking forward to giving these a try. 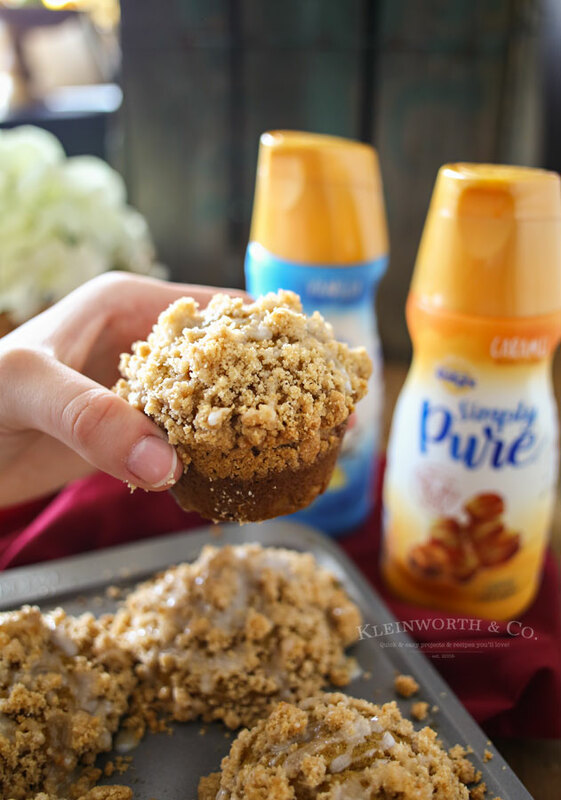 One of the things I love about fall is all of the new recipes I find with pumpkin in them. Your muffins look fabulous! Thanks for sharing!